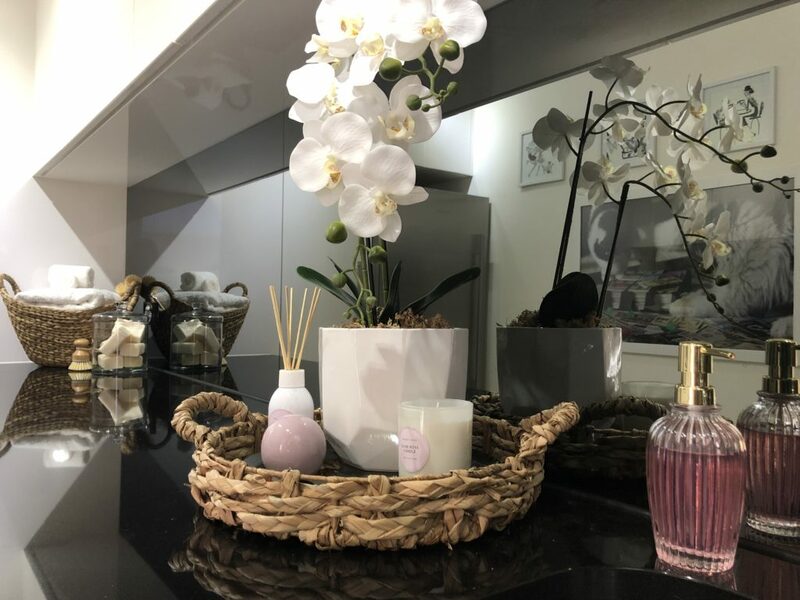 Now that my cupboards are all sorted and organised, I wanted the benchtop to look fabulous as well, Lucky for me, Kmart has released a whole new range of stunning homewares!! Kmart are spoiling us for choice! 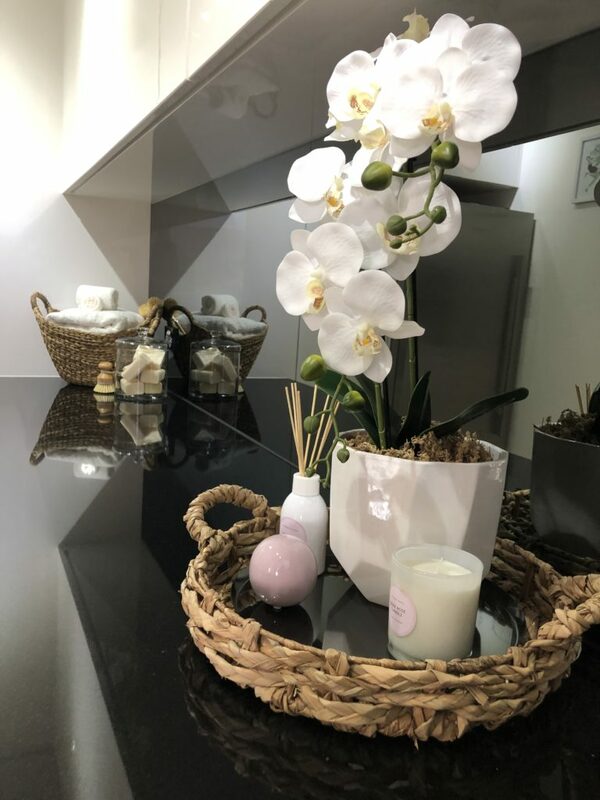 I have a large laundry benchtop which I use to fold laundry so I wanted it to look great, but not take up the whole bench with décor items. Down the far end, I’ve used the Oval Loop Basket – $14 as the focal point. I’ve popped some folded white towels in it, and added two of the wooden handled dish brushes. To the side of this I’ve got some soaps inside one of the Straight Glass Jars – $8. Down by the sink I’ve got a really gorgeous set up going on! For the base of this eye catching piece, I’ve used the Large Natural Tray – $12 – I really love this piece! It would also look great as a table centrepiece. 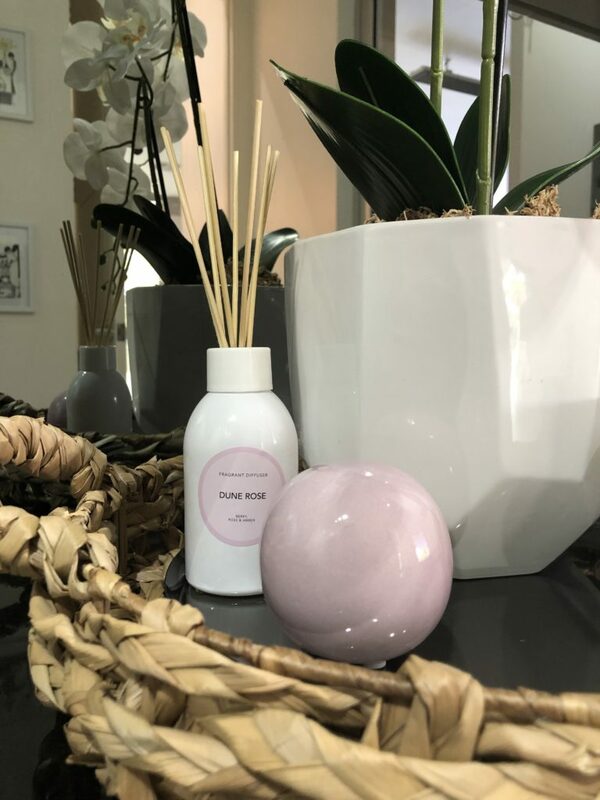 As the focal point, I’ve used the Orchid in Pot – $25 – which is sitting inside the White Geometric Pot – $7, and surrounding it, is the Dune Rose Reed Diffusers – $7 and Dune Rose Candle – $6. It looks great, doesn’t it? Almost, (but not quite) good enough to make me enjoy doing laundry duties! 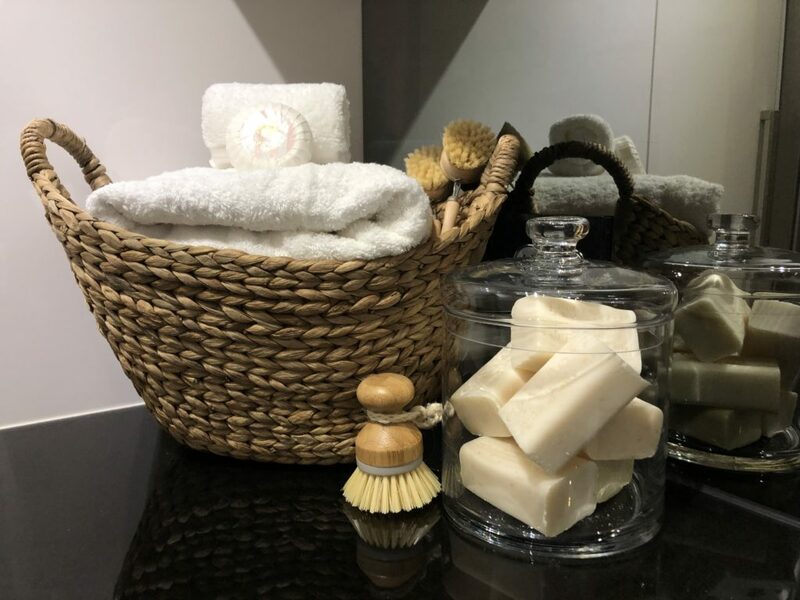 I hope you’ve enjoyed seeing my newly organised laundry – I’m so pleased with how it looks and how easy it is to find everything … Infact, I’m so pleased with my efforts, I’m going to pour myself a nice glass of Bubbles to celebrate! Cheers!